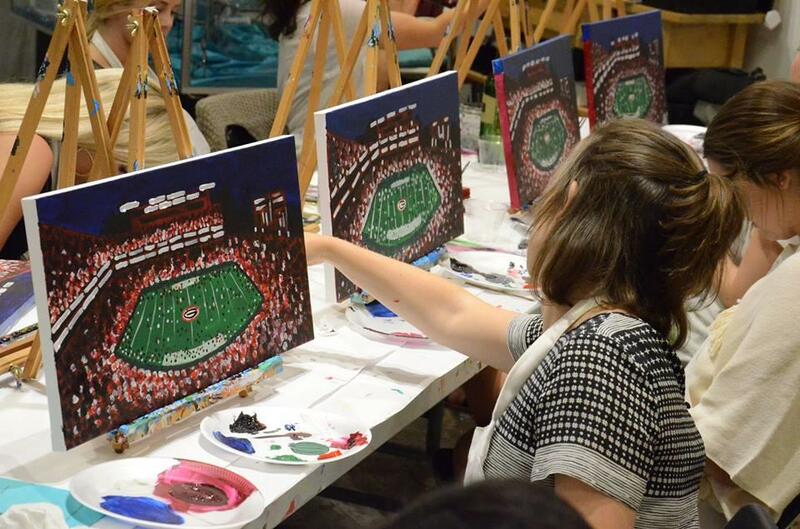 Show your creative side at ARTni&apos;s Art Studio, Gallery and Lounge. On February 14, ARTini&apos;s is doing things a little differently during their Valentine&apos;s Day Par-Tay. This time, you&apos;re in charge of your design; craft wooden signs all on your own. Well, with the help of some handy DIY stencils. While an instructor will be there, the event will be at your own pace. Additionally, see what&apos;s in store for your future with an on-site tarot card reading. Enjoy cookie decorating plus catering from Athens’ newest food truck, Manila Express. Crafting, cards, catering and cookies; it is sure to be an event you and your girls won&apos;t want to miss! If you prefer to leave the artistry to the pros, view the collection of artwork at the Georgia Museum of Art. Take the Tour at Two to learn about the permanent collection as well as the latest exhibit on display, Rebecca Rutstein&apos;s Out of the Darkness. Then, wander outdoors through the outdoor sculpture exhibit featuring work by another female artist. Show your support for female artists this Galentine&apos;s Day! Plus, admission to the museum is free; the perfect activity if you and your gal pals are on a budget. No holiday is complete without food. Wine and dine yourselves at one of Athens&apos; many highly-rated restaurants for a taste of fine Southern cuisine. Five & Ten is offering a four course menu, including dessert, specially crafted for Valentine&apos;s Day. Their delicious Southern dishes bring in French and Italian inspirations for meals unlike anywhere else. For desiring high quality taste at a lower budget, choose home.made. Devour Southern favorites like shrimp and grits and tomato pie in a comfy and cozy setting. If you&apos;re in need of an after dinner drink, Wednesdays in Athens means Ladies&apos; Nights at The Pine, perfectly timed for Galentine&apos;s Day! Head there on February 13 to enjoy drink deals all day long. Nothing brings a smile quite like a nine hour happy hour! Treat yourselves to something sweet! Stop by the recently-opened Alumni Cookie Dough and grab a couple scoops of the latest dessert trend: edible cookie dough. Split a slice (or two) of cheesecake at Last Resort Grill, a favorite of Athens locals and visitors alike. Customize donuts with sweet toppings like candy and cookies at Zombie Coffee and Donuts. Any Athens place you pick is sure to satisfy your sweet tooth! While a relationship is no longer a requirement for celebrating Valentine&apos;s Day, there is one thing that remains a necessity: chocolate. Luckily, the Classic City has the perfect place for this classic holiday candy, Condor Chocolates. 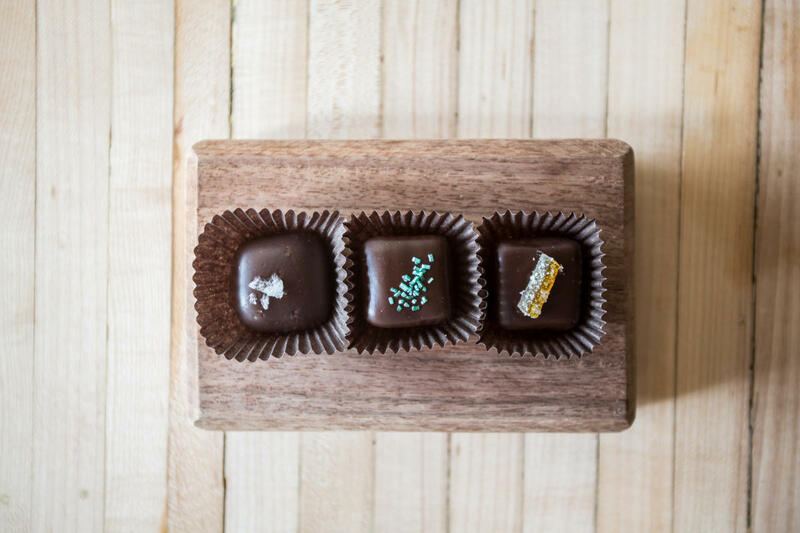 This quaint cafe is nestled in Five Points and makes all of their chocolate in-house. Try a variety of chocolate flavors, a milkshake or another one of their decadent desserts. Condor Chocolates is here to help with your chocolate cravings this Galentine&apos;s Day. Pack your yoga mats and get ready for a night full of glitter, glam and girl power! Head to Graduate Athens on February 13 for The Ultimate Gal&apos;s Night Out. Before the yoga session begins, have your hair styled by Model Citizen Salon. Then, participate in a yoga class led by an instructor from Shakti Power Yoga Athens, accompanied by music from female DJs. The Spa at Graduate Athens will be working their magic and providing spa services as the night goes on to help you look and feel your best all Galentine&apos;s Day long. Show off your moves with SALSAthens at Little Kings Shuffle Club on February 13. Whether you’re a seasoned Salsa dancer or looking to try something new, SALSAthens is open to all. These Cuban style dance classes are sure to get you and your girls in the groove for a great Galentine’s Day. Lace up those skates and go for a spin on the ice! 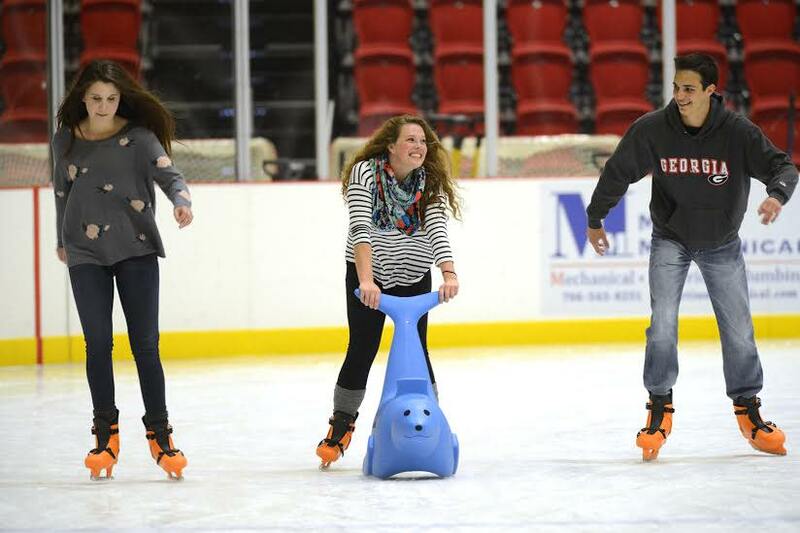 Athens on Ice at the Foundry is open on February 13 and 14. Even if you can barely stay on your feet, Athens on Ice is a great way for you and your girls to spend time together, and maybe share a laugh or two. Afterwards, warm up with a cup of coffee or hot chocolate from 1000 Faces Coffee, conveniently located just steps away. If you desire a more relaxing atmosphere to spend your Galentine&apos;s Day, Porterhouse Grill is the place to be. Head there on Wednesday 13 to listen to a live jazz band. Grab a seat at the bar, sip wine, savor snacks and catch up with your girls while taking in the soothing sounds of the unofficially, self-named "Quietest Jazz Trio in Athens." The combination of smooth jazz and delicious dishes are sure to bring a harmonious ending to your Galentine&apos;s Day! 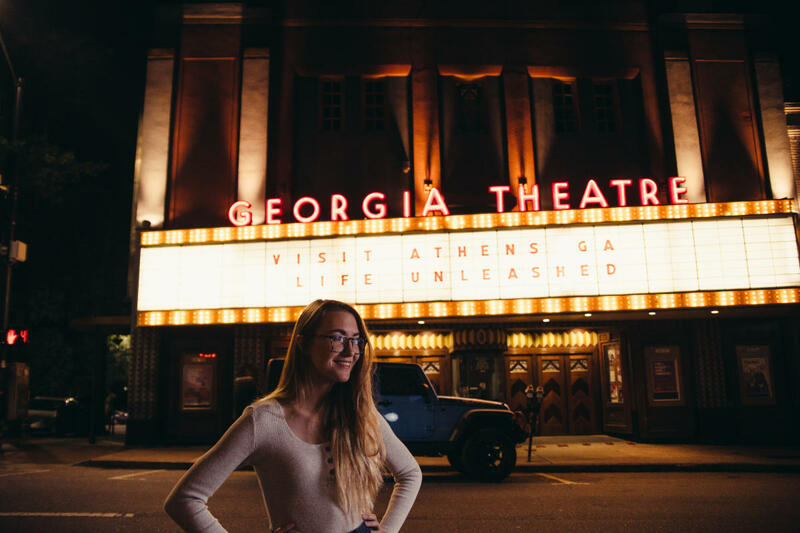 Spending Galentine&apos;s Day in Athens is sure to sound like music to your ears-- literally! Attend a concert at one of Athens&apos; many music venues, like the Georgia Theatre. Dance the night away to Mat and Kim when they take the stage on February 13, or sing your hearts out to Dawes Key on February 14. Get to this famous music venue before the show starts and head up to the Georgia Theatre Rooftop to grab a drink and a bite to eat. While you&apos;re there, try one of the local craft beers from Creature Comforts or Terrapin, and take in a stunning view of downtown Athens during sunset. After all, who needs a date when you&apos;ve got your best girls by your side? Let us know in the comments who you are spending your Galentine&apos;s Day with! 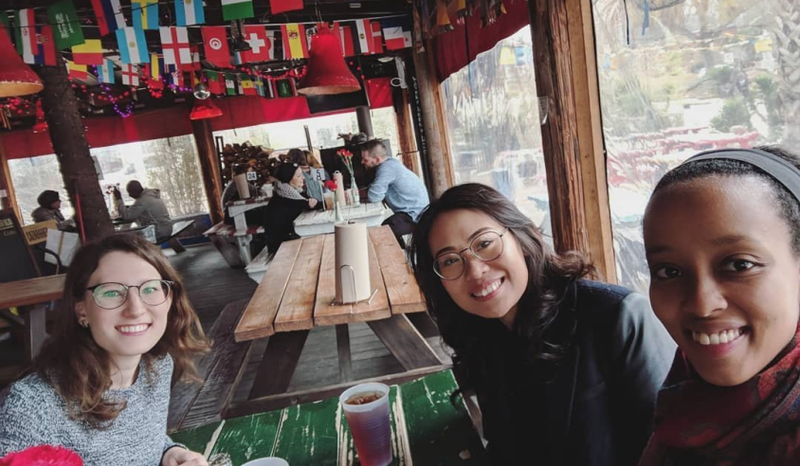 Be sure to share all of your Galentine&apos;s Day festivities with us using #VisitAthensGA on your posts.